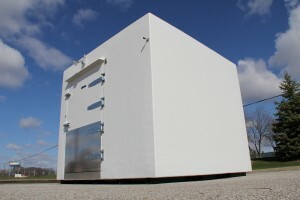 At Polar King International, Inc. all of our Walk-In Coolers and Freezers are delivered fully assembled and require only a simple electrical connection to put them into operation. However, there are a few basic steps and preventative measures to consider for proper operation. During the course of installation or start-up, if you do experience any type of service problems or performance issues with your Walk-in Cooler or Freezer, contact our customer service department. 1. 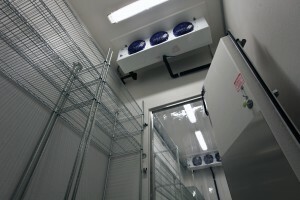 For proper operational and drainage purposes, Polar King Walk-In Coolers and Freezers require a level surface (concrete slab if attached to a building). It is extremely important to follow any local building codes or requirements when having a concrete slab installed. 2. 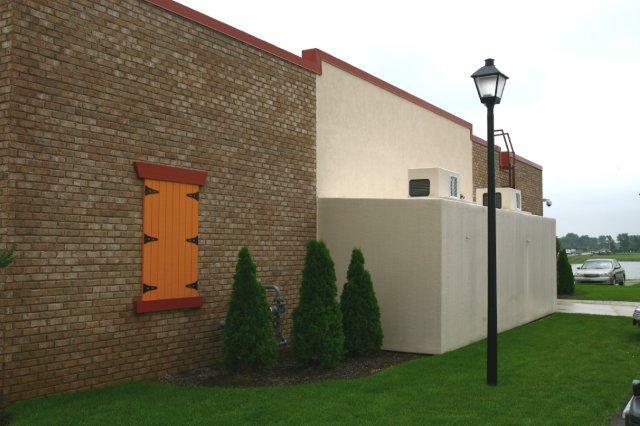 The condensing unit on the top or back of your Walk-In Cooler or Freezer should be a minimum of 6 feet away from any building intake or exhaust ventilation fans. As some of these gases may damage the motor, it is best to avoid having them drawn in to the compressor. 3. It is also important to keep an open area of at least 3 feet around the condensing unit. Ensure there are no obstructions such as tree limbs, bushes, or other blockages. This will make certain sufficient and adequate air flow ventilates across the compressor. 4. Confirm adequate electrical service is available for your particular type of Walk-In Cooler or Freezer unit. Consult your service manual or Polar King customer service representative to verify the amount and type of electricity required. 5. Once your Polar King Walk-In Cooler or Freezer is in the set position, a qualified electrician may then hard wire the unit. It is extremely important to follow any NEC and or local electrical codes when wiring the unit. Additionally, a wiring diagram is located on the back of the electrical box panel on the condensing unit. 6. It is also crucial that you check and loosen any compressor-mounting bolts if supplied. For shipping purposes, these bolts are tightened to prevent damage to the compressor. While only a few Polar King units require the mounting bolts, it is important to double check and loosen them appropriately. 7. Set the correct time of day on the defrost timer. This is required in order for the preset defrost to occur at the chosen times. 8. If your Walk-In Cooler or Freezer is delivered or sits idle during winter months, an external heat source should be applied to the compressor crankcase for 12 to 24 hours prior to start-up. This will prevent any damage that may occur if the crankcase is too cold upon start up. After completing the Polar King Pre-Installation checklist, your Walk-In Cooler or Freezer unit is now ready for operation. All Polar King Walk-In Units are preset at the factory to automatically include four defrost cycles for a duration of 30 minutes each. These preset defrost cycles may be changed to your preferred times, or to accommodate various applications. If you experience any problems or performance issues during startup or installation, contact your Polar King customer service representative.